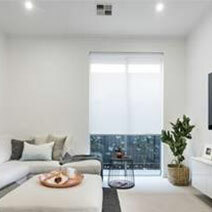 Window Roller Blinds are still one of the most practical, value for money coverings available today. For ease, today’s Roller Blinds can be operated using..
Roller Blinds From First Choice Blinds are a simple and fashionable way to cover windows.They are suitable for homes and offices alike. Logo Blinds are very popular for business customers.You can select from our wide range of fabrics and textures to complement your interior furnishings. They can be plain, pattern, black-out, sunscreen or woven fabric, produced from a wide variety of materials like cotton, polyester and linen etc..
For your privacy needs, you can opt for a translucent or opaque fabric. 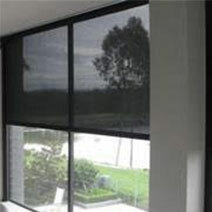 Also available are fabrics which are energy saving, flame retardant, blackout backing and solar protection. 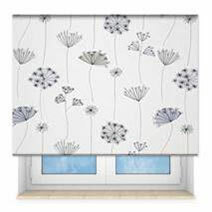 Whether it is for privacy or decoration at First Choice Blinds we have it all. If you establish what it is you require from the blind, then it makes the choice of fabrics and finishes so much easier. If it is privacy you require, then looking at block out fabrics is pointless as during the day these blinds will not allow in enough light when pulled to operate in the room, thus requiring the use of artificial light. 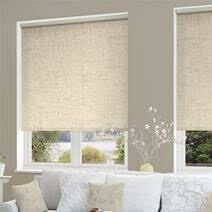 There is little point at looking at the natural open weave fabrics if you are looking for black out blinds. 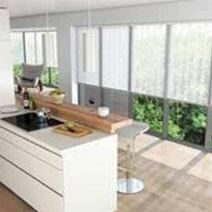 Equally most waterproof blinds can not offer a light filtering effect as they are made from P.V.C. and as such are block out fabrics. All First Choice Blinds roller blinds can be operated by spring or chain, but remember when using the chain method always use with a child safety devise to avoid the possibility of strangulation by young children. 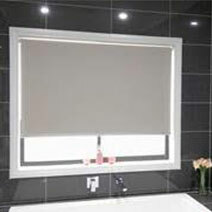 We also offer a full motorised blind system from Yewdale. If you don’t have power near the window you want to motorise no problem we can use a battery motor and a small solar panel if required.